In recent years our country has experienced a new period of increased civic engagement and sustained social action. From Black Lives Matter, to #MeToo, to the Resistors and Dreamers, millions of Americans are taking to the streets and calling for massive social change and accountability at a level not seen for 50 years. And yet, despite the deep importance and intersection of these campaigns for social change, questions have begun to arise concerning the longevity of this new wave of social action. Are we experiencing a moment in our nation's history or the beginning of a movement? 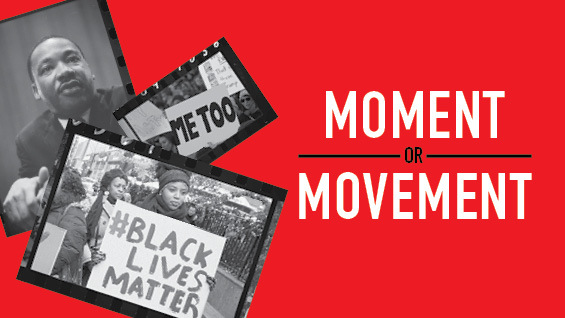 Building on the lessons learned from the civil rights movement, we seek to answer how we as a community can ensure this moment of increased social awareness and action continues to evolve into a long-term, sustained, social movement. April 4th of this year marks the 50th anniversary of the passing of Martin Luther King Jr. We can think of no better time to convene this conversation than at this significant time. The event is free and open to the public. General public should reserve a space here. Please note first come, first seated; an RSVP does not guarantee admission as we generally overbook to ensure a full house.